The founders of Gero and makers of the YotaPhone are launching their next big thing: Atmotube – the personal air quality tracking device. What’s the idea behind Atmotube? Air pollution, both indoors and out, is a global problem. Most of us don’t realize how what’s in the air might affect our health. Unless we have asthma or allergies, we don’t notice any immediate impact on our bodies. 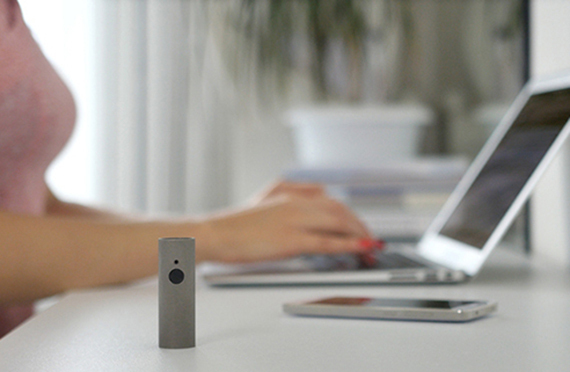 Atmotube is the first truly personal, compact and affordable air quality tracker. It constantly monitors the environment, accurately measuring air pollution and the presence of a wide range of volatile organic compounds (VOCs), and harmful gases like Carbon Monoxide (CO), temperature and humidity. 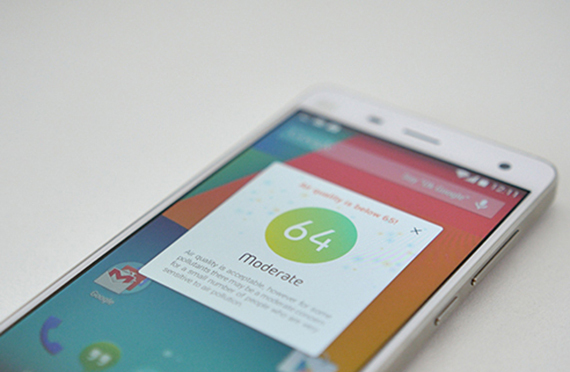 It alerts you when your environment is not safe – both indoors and outside. Who did you have in mind as a user when you designed Atmotube? Atmotube is designed for everyone. 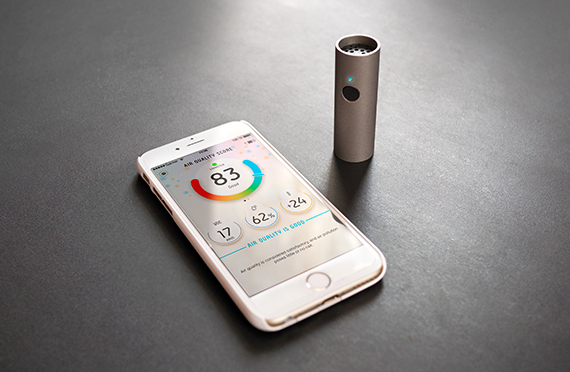 But first of all, this device is vital for people with allergies, asthma and other lung diseases. Children and the elderly are also in the risk group, as well as people who work in an unhealthy environment and live in cities with increased air pollution; so we hope they will find Atmotube helpful. Everyone knows that air pollution worsens lung diseases and often can be a cause of one, but we have very little understanding of what are the exact levels of air pollution that affect our health. In your opinion, how does the Internet of Things change the way we receive our environment? The Internet of Things clearly changes the way we understand our environment, by giving us more and more insights on the world around us. For example, when I started to work on Atmotube, I started to close my car windows each time I was passing trough heavy traffic. I guess I began realizing that electrical cars are a real alternative much earlier than I would have without Atmotube. The more people will have similar vision, the sooner it can have impact on the global air pollution in our cities. Can you give us a look behind the scenes of the development process? Actually we were experiencing some difficulties during the prototyping phase and the production set up. All because of the toxicity of materials that are used to make consumer electronics products. Our sensors are very sensitive to it. Most of our prototypes are made from 3D printed parts. It turned out that the sensors even react to small amounts of toxins contained in the 3D printed parts. We tried about 8 different materials before we found a «clean» one. The mass production control is even more tough: we use medical grade plastics, carefully control materials used on the assembly lines; even a tiny drop of glue can be toxic and affect performance of the sensors. What were the underlying principles when creating the brand? Did you think about how product design and brand might relate to each other? In Atmotube brand we followed the object, we started from the minimalistic titanium tube. Then the combination of design factor and function led to our naming, where we put together old Greek ATMO (Air or Smoke) and TUBE (our object). Visual design and user experience where built around this idea of simplicity and pureness. We also reduced graphs and parameters and created an accumulative parameter called Air Quality Score, that immediately gives you an idea about the air around. We also created the Average Personal Air Quality Score that is calculated based on the overall time you spend in certain environment and motivates you to spend more time in places with good air quality. You’ll be launching your Indigogo campaign soon. What are your goals here and how will it affect your product and company? We are launching the campaign on November 9th to get our first orders and finally start the mass production of Atmotubes. We hope to get a lot of attention, share ideas with people and get feedback. What are your future plans for Atmotube? Apart from research and partnerships with asthma and allergies organizations, we plan to keep enhancing our sensors and add more pollutants that we can detect in the next generations of Atmotube. We also plan to partner with producers of air purifiers, filters and other air quality related equipment, to be able to provide complete IoT solutions to our customers.